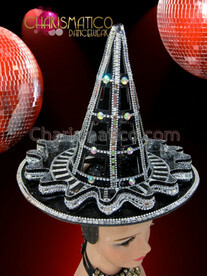 The beautiful, shiny butterfly is all set to shine bright and make your dance show wonderful. 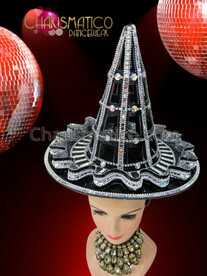 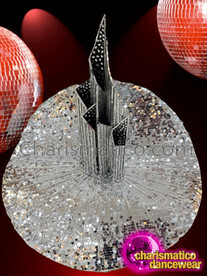 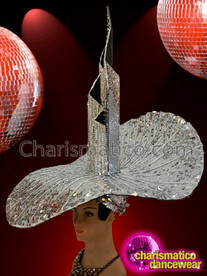 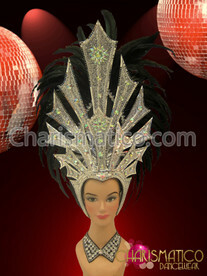 The mirror assented on the headdress and the white crystals make you shine bright during the showtime. 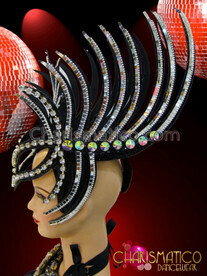 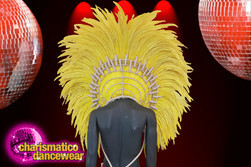 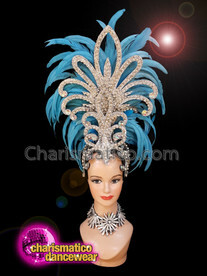 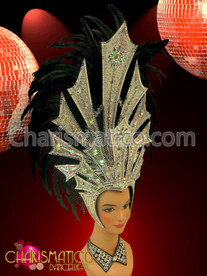 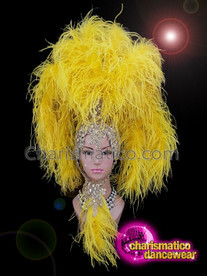 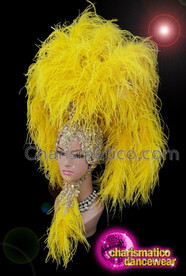 The large white feathers at the back of the design of the headdress just look wonderful. 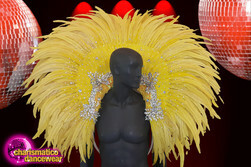 The modern vibe is undercut with a sense of classic timelessness based on style and material choice. 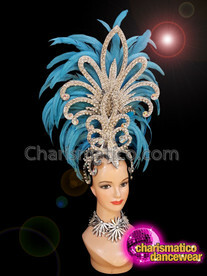 An elegant headdress with a sleek butterfly design and a touch of irregularity of ruffled feathers.